From pub tables to large conference tables -- our custom made industrial style tables feature distinctive and sturdy pedestal style steel bases (riveted I-beam style shown) combined with premium quality thick wood or solid steel table tops. These unique tables are each individually built to order in a variety of sizes -- pub tables, dining tables, bar or counter height tables, etc. We can build one (or more) to suit your exact requirements! My rustic/industrial tables are designed to look beautiful in a variety of settings, and they are skillfully crafted to last a lifetime. 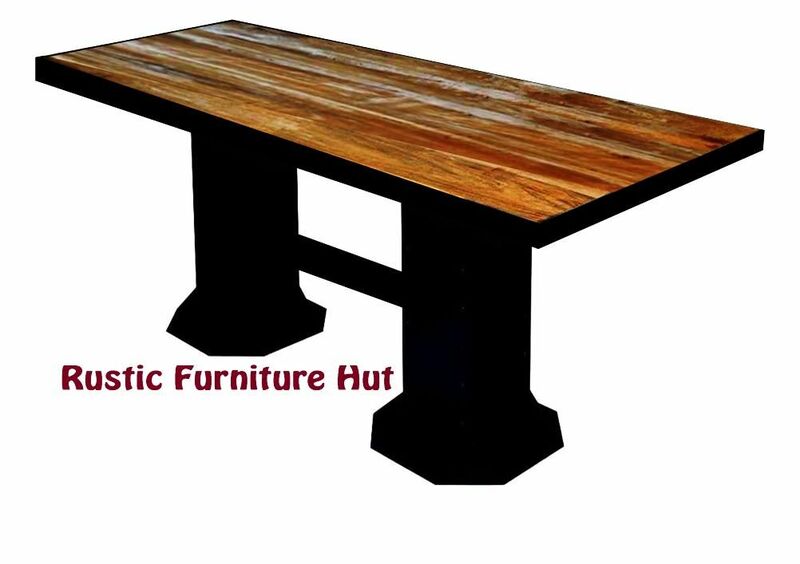 - Steel or solid wood table tops (including reclaimed woods). - Unique, thick gauge steel industrial style table bases. - Welded and/or riveted steel adds strength and beauty. - Wide choice of wood finishes. - Solid wood table tops (available in 1.5", 2.5" and thicker woods). - Dining table, counter, or bar height (or any custom height). - Slab style edge-glued wood tops. - Butcher block style tops. - Live edge solid slab tops (subject to availability). - Distressed and/or hand-hewn wood surfaces. - Decorative solid steel banding on table top edges. 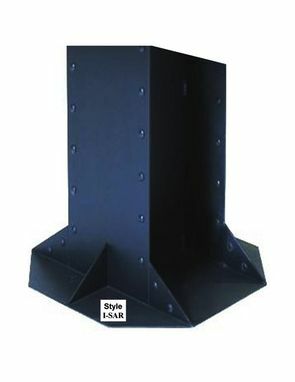 - Decorative steel rivets in base and/or table top steel banding. - Decorative drilled holes in base and/or table top steel banding. - Raw or painted steel finishes (choice of colors). - Rust or other custom metal patina finishes. - Can be sealed for outdoor use. - Prices start as low as $895 for single pedestal tables.